Traditional leave plans separate time off into different categories, such as vacation, sick, and personal time. Employees are allotted a specific number of days or hours of leave for each category. The time off, which is based on length of service, must be taken for the allotted purpose. According to a 2016 report by WorldatWork, under a traditional plan, employees receive an average of 23 paid leave days for 1–2 years of service. Long-term employees earn an average of 37 paid leave days, after 20 or more years of service. These totals are inclusive of vacation, sick, and personal time. Conversely, a paid time off (PTO) system does not separate leave into categories. Instead, it uses a bank-type approach, in which a certain number of days are offered (based on length of service), which employees can take for various types of absences. The WorldatWork report shows that the average paid time off system given for 1–2 years of service is 17 days. For 20 or more years of service, employees receive an average of 27 paid time off days. 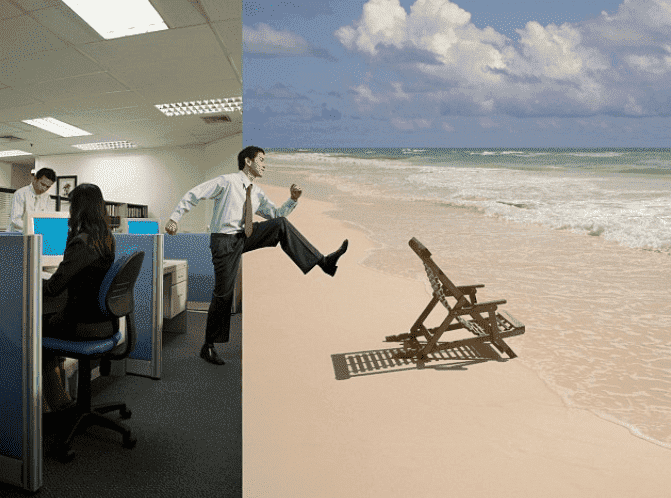 What are the pros and cons of leave and paid time off? Traditional leave plans generally offer employees more total leave days than paid time off systems. For this reason, some job candidates and employees may be more attracted to a traditional leave plan. As long as these employees don’t need to use more vacation, sick, or personal leave than allotted, they likely won’t have a reason to complain. But, therein lies the quandary: traditional leave plans lack flexibility. For instance, if employees exhaust all of their sick days but still need to take more time for health reasons, they might not be allowed to dip into their available vacation time to cover these absences. Conversely, paid time off systems are inherently flexible because the available days can be taken for any reason. On the downside, given that employees receive fewer total leave days under a paid time off system, they may come to work when sick, simply to save their leave days for vacation or other preferred types of absence. How are leave and paid time off managed and paid out? Administratively, because the leave being taken does not need to be traced, a paid time off system is easier and cheaper to maintain than a traditional leave plan. Therefore, managers spend less time managing their employees’ time off given that they are dealing with only one pool of time, instead of three or four separate categories. Legislatively, some states require that employers with a paid time off system pay out all unused paid time off when employees leave the company. With a traditional leave plan, only the unused vacation portion may need to be paid out. Which is more popular between leave and paid time off? According to WorldatWork, traditional leave plans remain the most prevalent type of leave program, but increasing numbers of employers are shifting toward paid time off bank-type systems. Furthermore, a 2017 Bloomberg BNA report concludes that although employers still prefer traditional leave plans, a considerable number of surveyed organizations have opted for paid time off systems. Ultimately, it’s up to employers to select the leave or paid time off model that best suits their organization.